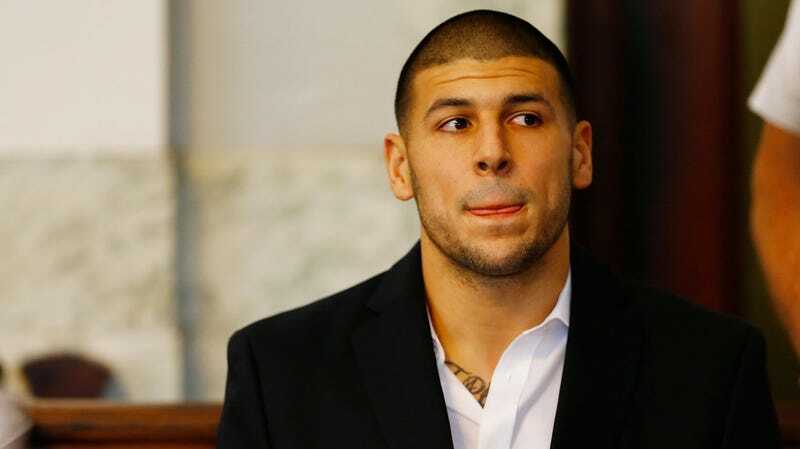 An autopsy performed in April 2017, after the death by suicide of former Patriots tight end and convicted murderer Aaron Hernandez, reportedly “came back negative for all substances” tested, including, importantly, synthetic cannabinoids. But a new report from the Boston Globe says the final police report redacted and obscured additional evidence that indicated Hernandez was heavily using K2 in prison in the days immediately prior to his suicide. Religious delusions also are reported, according to people familiar with K2’s effects. Not a traditionally religious man, Hernandez had become more “spiritual” toward the end of his life, according to fellow inmates’ accounts in records. The scene at Hernandez’s death was rife with eerie religious writings and symbols. There was religious writing on the walls. He wrote 3:16 in blood on his forehead and had the Bible citation “John 3:16” open on his desk. This is at least the second significant revelation to come out of the Globe’s Spotlight team’s reporting on the circumstances of Hernandez’s life and death, after it was reported early in October that Hernandez had been physically and sexually abused as a boy. The series is very much worth your time.